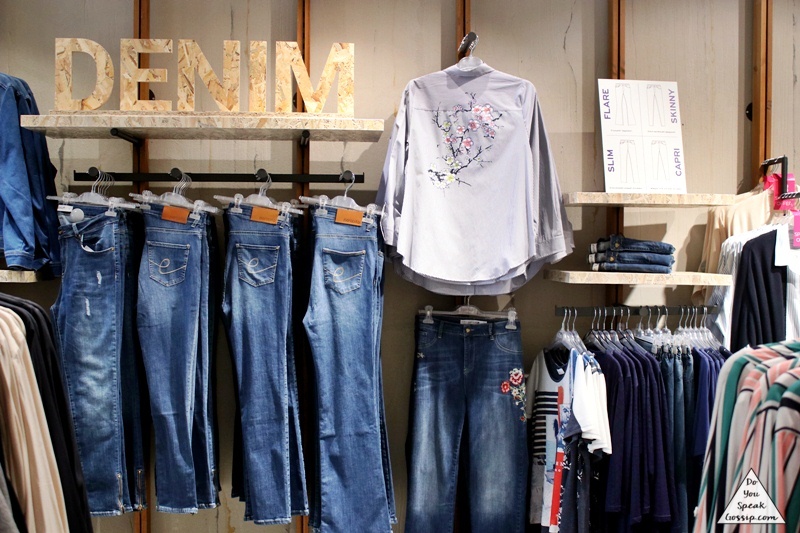 greek brand Archives - Do You Speak Gossip?Do You Speak Gossip? 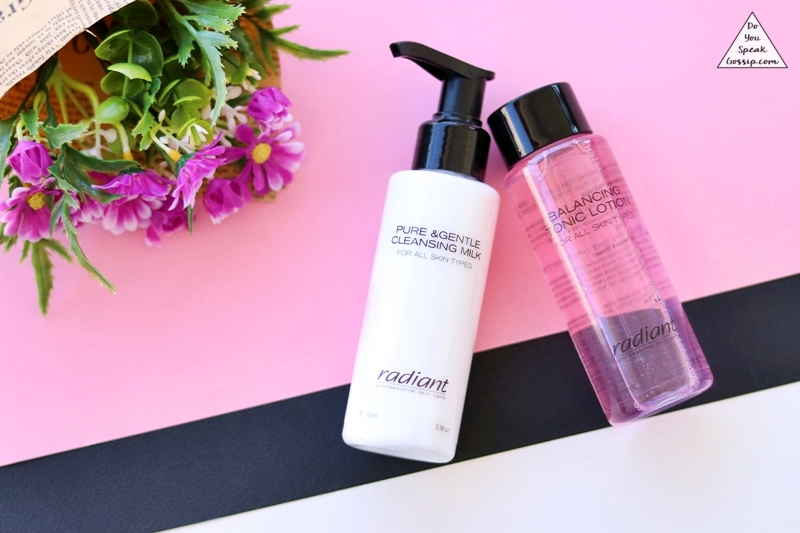 I received these 2 products by Rantiant a while ago, but haven’t reviewed them anywhere till now, so I think it’s time to change that. They are both travel sizes, at 100ml, which makes them perfect to take with you while traveling, even on the cabin luggage when traveling by plane. The cleansing milk is indeed very gentle, it cleans your skin perfectly and leaves it soft. While the balancing tonic lotion, is very mild and makes your skin feel clean and refreshed. They both have a very pleasant and discreet scent, something I always appreciate in skincare products. The cleansing milk comes with a pump, while the lotion has a rotating cup that leaves just a small hole when rotated for the product to come out. Which is amazing, because you don’t waste any product, and it makes it very difficult to spill it by mistake. All in all, they’re both great and very practical products, which I love. Totally recommend them. Unicornia is a small Greek brand, which makes natural skincare products. I got to know them through a friend and when I saw them up close I decided to buy their scrub to try it out. 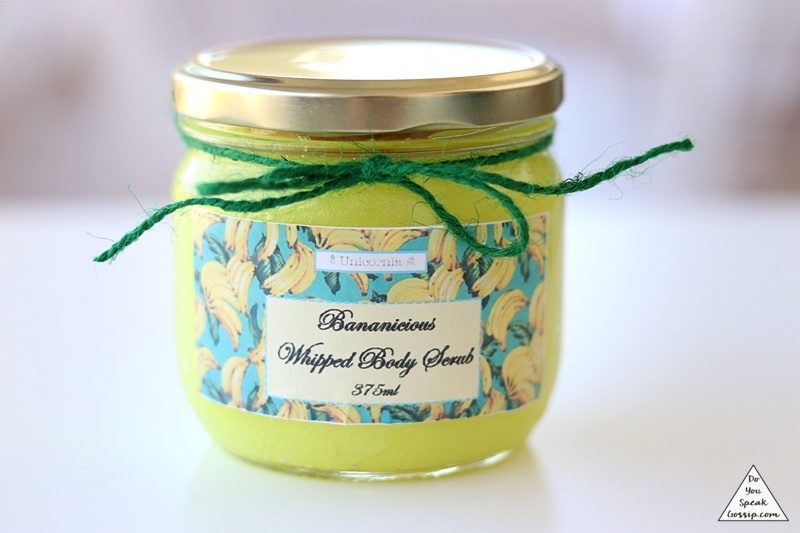 All I can say is that I absolutely loved this whipped Body Scrub, with the fitting name Bananicious. As you can guess, it takes its name because of its banana scent, and ingredients. It’s not a harsh exfoliator, on the contrary, it’s very gentle but efficient, and leaves your skin nicely exfoliated and soft, with a nice banana scent. I don’t know if they’d be able to ship to other countries in the future, but for now they only ship to Greece. They get a definite 10 from me, and I’ll definitely try out more of their products. Σήμερα έχω την χαρά να σας συστήσω μια ελληνική εταιρεία με χρόνια εμπειρίας στον χώρο της plus size μόδας. Αφορμή για αυτό το διαφορετικό για εμένα και το blog μου άρθρο, στάθηκε το γεγονός, ότι πολλά αγαπημένα μου πρόσωπα καθώς και πολλοί από εσάς μου έχετε πει κατά διαστήματα ότι δυστυχώς οι περισσότερες εταιρείες δεν έχουν μεγάλα νούμερα, και έχω παρατηρήσει κι εγώ η ίδια ότι όσο πάνε, αυτές οι εταιρείες, «μικραίνουν» τα νούμερά τους και τα κάνουν πιο στενά. Με ρωτάτε συχνά λοιπόν που μπορείτε να βρείτε όμορφα, θηλυκά και μοντέρνα ρούχα σε μεγάλα μεγέθη, και επιτέλους έχω την απάντηση σε αυτό. Θα τα βρείτε στην εταιρεία Parabita, η οποία συνεργάζεται με κάποια από τα μεγαλύτερα plus size fashion brands της αγοράς, αλλά βγάζει και την δική της ομώνυμη σειρά ρούχων. Let me start by telling you that we photographed this outfit a couple of weeks ago, but I had to postpone it, due to other obligations, and that I’m writing this post on Saturday morning, to keep a distance from Sunday’s (upcoming) developments. So no matter what happens on Sunday, I still have many posts photographed for you that are waiting for their turn. I wore this outfit to go out for a walk next to the sea & have a coffee with my boyfriend. My new Ifos dress was the inspiration of the whole outfit. The dress is of a very good quality and very comfy and has a really beautiful back that makes it a bit boho, which is one of the biggest trends of the year. That day started with thunderstorms, and I was sure that we’ll have to cancel our little photoshoot (again! ), but we waited it out and the sun came shining behind the clouds. The winds were strong on the seaside, but that didn’t stop us. Despite the earlier thunderstorm I brought my hat with me just in case, and it turned out to be a wise move, because I got sunburned from the sun that day. At least my face was protected. And my boy also thanked me for bringing it, since he got to wear it too to avoid the sun. Isn’t this dress fabulous? I’ll link it below… Do you like my first look with it?